Four-time #1 New York Times bestselling author Brené Brown has spent the past two decades studying the emotions and experiences that give meaning to our lives, and the past seven years working with transformative leaders and teams spanning the globe. 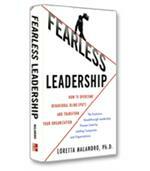 How do you cultivate braver, more daring leaders, and how do you embed the value of courage in your culture? In this new book, Brown uses research, stories, and examples to answer these questions in the no-BS style that millions of readers have come to expect and love. For most aspiring executives, a leadership position is merely the next step on the career ladder. More responsibility, a bigger budget, a new title, and hopefully more money and a bigger office. However, the natural progression inherent in that perspective overlooks a critical problem. 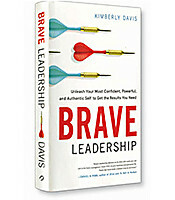 In her new book, Dare to Lead: Brave Work. Tough Conversations. Whole Hearts, Brené Brown outlines that problem in great detail. Stepping into a leadership role as a natural culmination of past work places the wrong emphasis. If you’re focused more on how you got there, you’re going to accept the current role and leadership culture at face value, without questioning what is going on around you. If you truly dare to lead, Brown argues, your appointment to a leadership position should shine a light on your courage and bravery to redesign that role and the culture within which you operate. 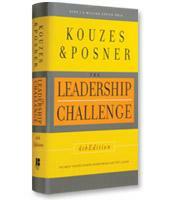 The author leverages an impressive amount of research data in this book, including interview data collected over the past two decades and interviews with 150 global executives on the future of leadership. The clear message of that data is that leaders must be brave enough to challenge the status quo and transform the cultures they are appointed to lead. If they aren’t, the existing cultural norms will calcify and undermine any hope of future innovation or change. However, defining exactly what that bravery looks like in a leader proved to be very challenging. 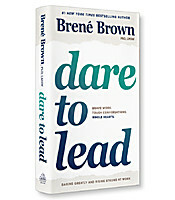 Interviewees described courageous leadership as both a personality trait and a skill, while others offered the response of “Well, you either have it or you don’t.” Brown finally found a path to a prescriptive solution by acknowledging that courage and fear are not mutually exclusive. 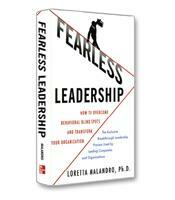 In her distillation of four skill sets of daring leadership, her core tenet is that bravery often masks an equal amount of fear, and it’s only when we embrace that fear that we can be truly transformative. Rumbling with Vulnerability. Brown uses the term “rumble” to imply a commitment to “listening with the same passion with which we want to be heard.” Being brave means staying both fearless and vulnerable and sticking with the process of problem identification and solution, no matter how messy it gets. Living into Our Values. How you conduct yourself in the role and the values you demonstrate in that behavior will speak volumes about your courage as a leader. Leading with compassion and patience will produce a more transformative outcome than will simply leveraging the authority granted by your title. Braving Trust. While Brown focuses on the courage and bravery needed to be a transformative leader, the element of trust is critical to that transformation. The people you lead will need to feel “safe, seen, heard and respected,” so that they can trust your courage and follow your direction. Learning to Rise. Brown uses the analogy of teaching first-time skydivers the right way to land before they’ve ever jumped out of a plane. Courageous leadership should be taught in the same manner. Failure is inevitable, and even the most courageous leaders should be prepared to handle that. Otherwise, the first failure will undermine that bravery and reassert the resignation that the current cultural norms are here to stay. 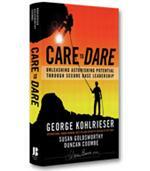 Dare to Lead presents a data-rich argument for a new approach to leadership. From Brené Brown’s perspective, the business world is changing too fast for leaders to simply set a course and prevent the ship from capsizing. Truly aspirational leaders should be ready to redesign and completely rebuild that ship while steering it.